Something I've been speaking about recently on my blog is body confidence, and along with body confidence and hating my body to ridiculous amounts also comes back fat which is the main cause of hating my body. So why not dedicate a whole post to back fat? So I know a lot of people have seen the name of this blog post and completely scrolled past it, however I know a lot of you would have seen it and wondered what I have to say about it. So now that I have booked a holiday for this year, I'm even more conscious about my body than usual. Although I'm going to Great Yarmouth, I want to make sure that everything fits and that I look okay. But why do we do this to ourselves? I personally have always been conscious about my body and I have a whole blog post about my body confidence, but something I'm struggling with recently is back fat, bra fat, the rolls which appear on your back when you have a bra on, pretty much. I know, everyone has it, even the most skinniest person in the world has it whether they have a bra on, or whether they're bending in an awkward way, they will have it. Yet I'm still extremely wary and conscious about this part of my body. Yesterday I tried on a bikini and I was very aware of my back fat sat there looking at me. I hate it, my boyfriend loves it; there's no winning. But the thing is, I see people who have a similar shape and size body as me, and I love their body; I think it's absolutely gorgeous, but I look at mine and I hate it and want to change it. But if I love their body, why shouldn't I love my own? It's crazy how the mind works and why I think like this. I also took a picture of my hair from behind yesterday and the first thing I noticed on the picture was my back fat because of the t-shirt I was wearing and this nearly stopped me from posting the picture. But, I'm sure everyone who saw the picture didn't even notice the back fat, and the only thing they looked at was my hair. Should we hate this part of our body which everyone has? As it's the same situation as cellulite, stretch marks and love handles; something we can't stop, but we still have them. Does anyone actually care that I have love handles, or the fact I have "back fat" when I wear a bra? Or do they actually take no notice of these things which I dread and hate every single day. I honestly wish there was someone who could answer all of these questions for me as I don't understand it. But at the same time, if you know how to get rid of back fat using exercises etc, please let me know; because I'm so fed up with feeling unhappy about it. Apologies for the long, rambling, random post. 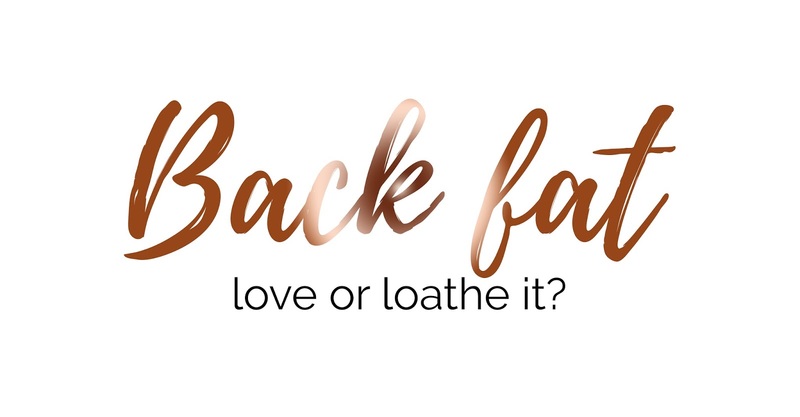 Let me know your thoughts on back fat and whether you notice it in a person! I have back fat and I have love handles. And I love them.